This time we see the Slow Mo Guys attempt to capture a head-on collision in ultra slow motion. When it comes to YouTube channels that you can always count on for interesting content to feast your eyes on, The Slow Mo Guys are definitely a group that you’re going to want to watch out for. Their goal is to put together different situations that might grab your curiosity and then slow them down with super expensive cameras – allowing you to see every last detail, analysing the frames in a way that the naked eye never could and, eventually, spitting it out on the other end with great editing and presentation that brings some pretty interesting pieces, if we do say so ourselves. This time, we follow a piece that is right down our alley here at SXdrv. 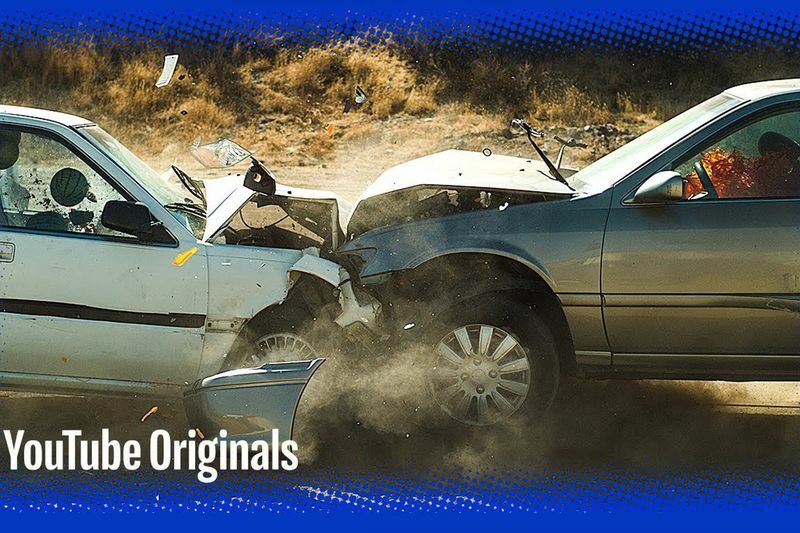 In this episode, the situation that we’re looking at is none other than a little bit of crash-testing as they take two cars and slam them into one another head-on. Now, normally in crash testing, the idea is to see just how safe a car can be in order to rate it. However, this time, the idea behind the hustle is to see just how much damage will be caused and where things begin to fall apart first when two cars are brought together under a full head of steam, running directly into each other, a situation that you definitely would never want to be a part of out on the roadways. When you’re ready to view this incredible experience, go ahead and press that play button below that will show you what it looks like when an accident is unfolding in super slow motion. They’re definitely some interesting things here to pick up on if you watch closely. One of the more interesting things that we noticed is that, in certain situations, the glass isn’t broken by the impact but instead, by flying projectiles inside that could very well be your head!